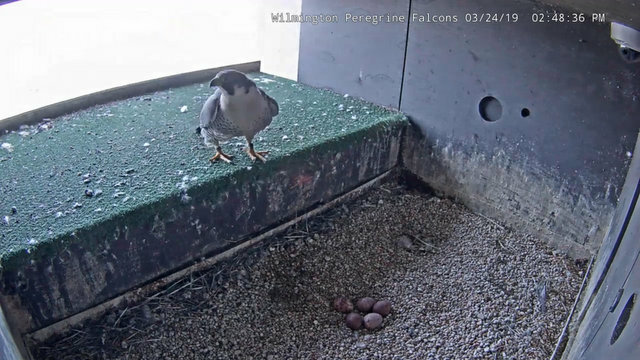 I check the cam every day, and have always found Trinity on the eggs. 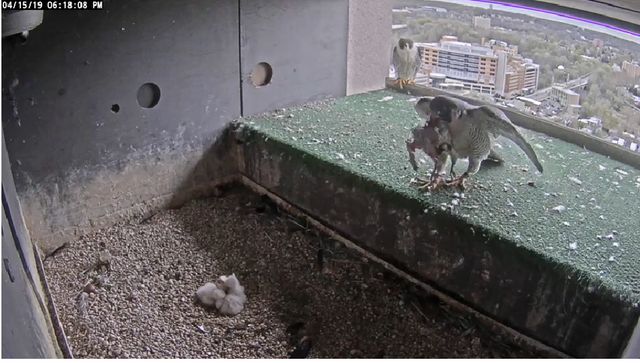 But right now Red Girl is there and Trinity is busy preening in front of the box. 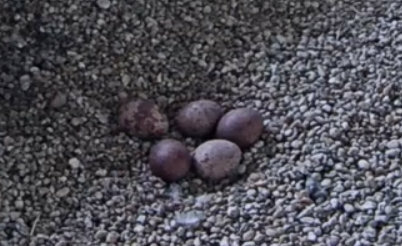 If all goes well, hatching should be in about a week. Great picture, Terka. I just read on Facebook from a VERY reliable source that sounds are coming from Red Girl's eggs! 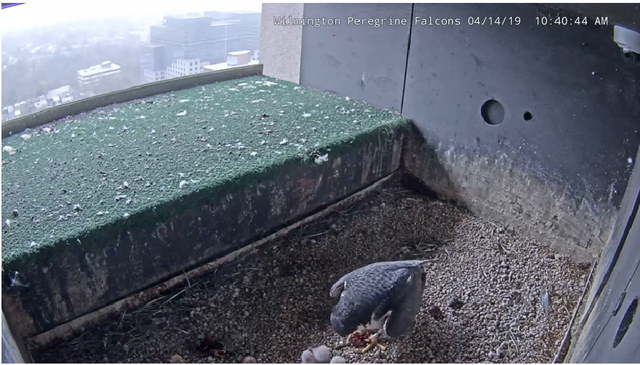 Two hatches as of this morning. I've not seen them, only pictures. 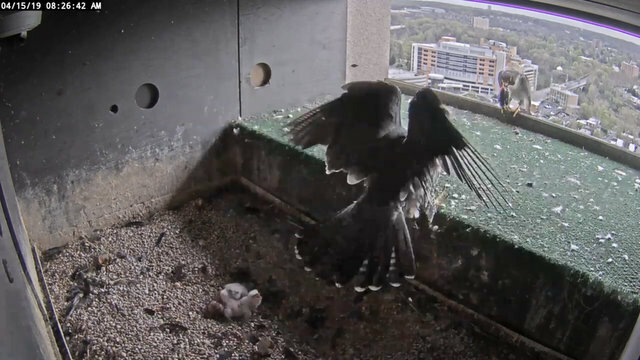 Just watched a feeding. Pretty sure there were 3 heads. They ate until they couldn't. When I rolled the video back, saw 4. Well, the 4th one could have been a elbow. 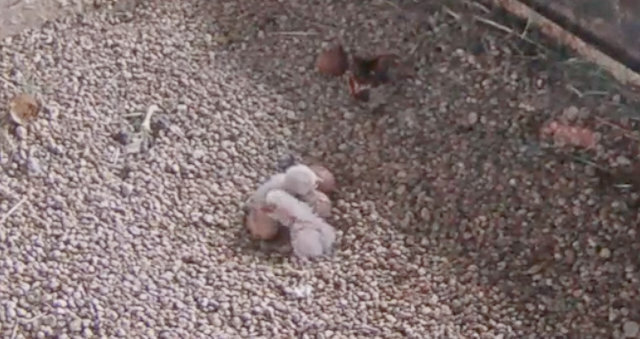 A third hatch has been confirmed via Facebook. WOW! Trinity had a skirmish with another male several years ago. He's fine, but the feathers on that one area of his head have never all grown back in. 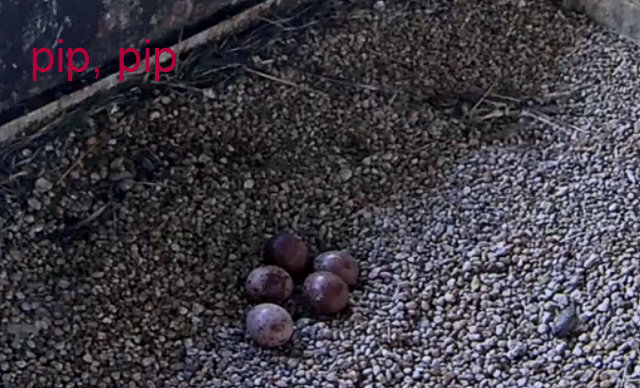 I've been watching to see if there has been another hatch, but Red Girl isn't budging. I did see her nibbling on an egg shell a bit ago. Thanks, Terka! 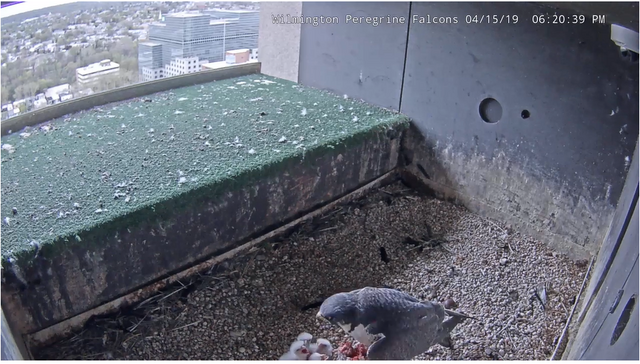 At 12:47 on cam 2, I can count 4 heads, when I think the newest one takes a tumble to it's back! Thanks, Jane! When I posted that about his head this morning, I did go back for this season and found a pic with a narrow white strip on his head, but it was very pronounced this morning and I did not remember the info you provided about him from previous seasons. 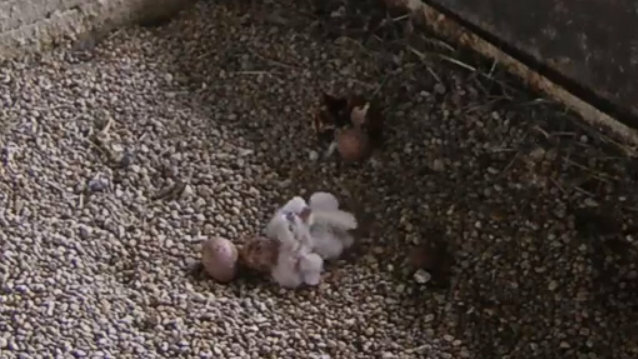 When Red Girl got up a few minutes ago, I counted FOUR chicks! Trinity came into the box to check on them while Red Girl got to take a short break. She's back, and hopefully Trinity will bring in some prey. 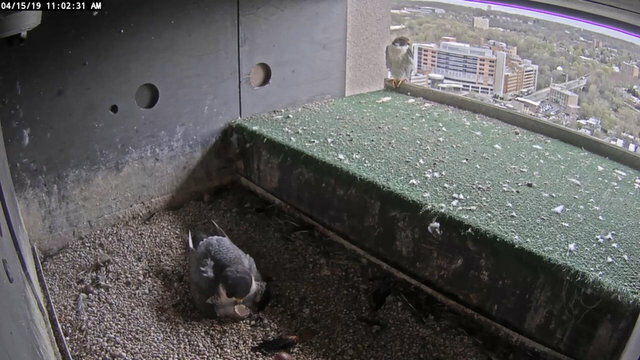 Watched a feeding earlier. I think the prey must have been a chicken. 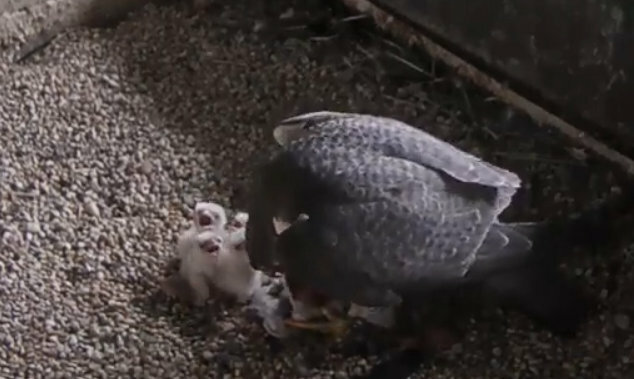 Anyway there were 4 mouths to feed and not sure how much the baby got but she appeared to be trying to give him some for sure. In the end they were all cuddled up and she ate some too. Great pictures, ljames. Can someone tell me how to get the second cam view? I thought there was a way to switch back and forth between the two cams, but I'm not having luck with that.